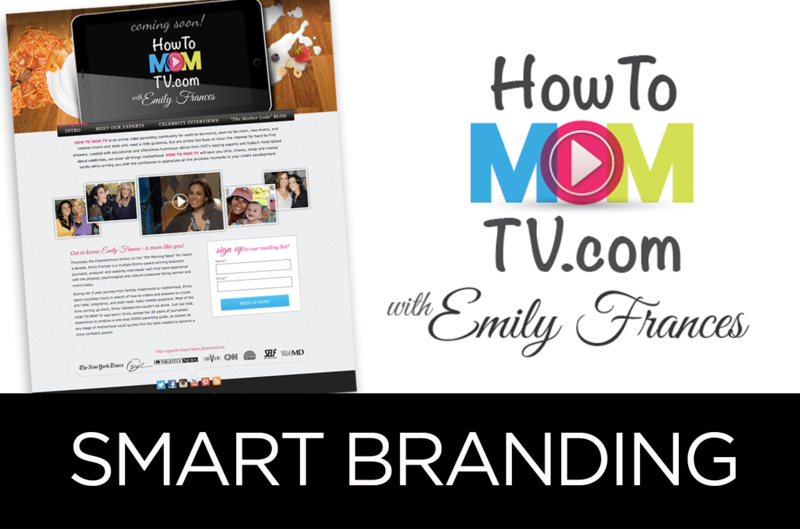 Live in Five was psyched to work with Emily Frances, Emmy-award winning entertainment anchor for New York’s PIX Morning News on her newest venture – How To Mom TV. This online video parenting community is geared for moms (and dads!) with little time to read books or scour the internet for hard-to-find answers. Our tagline: Kids don’t come with instruction manuals, until now! Live in Five worked directly with the client to conceptualize the brand, offer solutions that will empower viewers to interact and purchase tiered video packages and more. Notice also the lively background, which will eventually serve as an organic advertising space, say Dyson vacuums or even a must-have kitchen gadget. Clever, indeed.